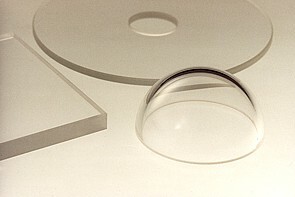 In the past years optical technologies have acquired utmost significance for industrial applications. Today they already play a pivotal role in many areas. Our company "Meyer Feinoptik" is located in Berlin and has dealt with the production of optical precision products and technical glass for 50 years. The long-standing know how of our specialists and our technical equipment for optical precision metrology and inspection are warranties of the constant quality of our optical components. All the technical details can be coordinated with a qualified member of our staff in your company.